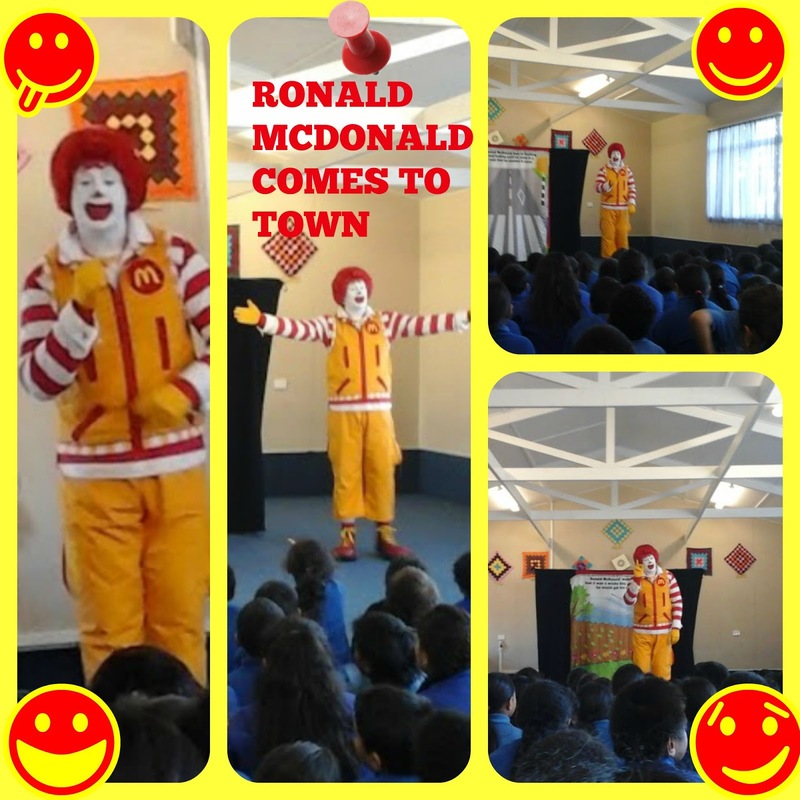 On Tuesday Room 9 went to watch a Ronald McDonald show I was really excited because It was my first time. As we sat down Ronald McDonald introduced himself then we began with a story to get us going. The story was about the missing socks. After we read the story we sang some songs about the traffic. What I learned was to always watch out for the cars and to keep safe around the traffic.